Emma Warson has written an open letter to Dr Savita Halappanavar, who died in 2012 at the age of 31 after being denied an abortion in Ireland. Dr Halappanavar, who worked as a dentist, had been 17 weeks pregnant with her first child when she and her husband found out that she was extremely likely to experience a miscarriage. After asking if she could have an abortion to terminate the pregnancy, Dr Halappanavar and her husband Praveen were told that it wasn’t allowed “under Irish law”, unless there was evidence that her life was at risk. On October 28 2012, Dr Halappanavar died from cardiac arrest caused by a septic miscarriage. Her death made a huge impact in Ireland and spurred a movement in the country to repeal the eighth amendment, the law in the constitution that banned abortion in almost all circumstances, and stated that a pregnant woman and a foetus have an “equal right to life”. In Watson’s letter, which is published in Porter magazine, she opens saying: “Dear Dr Savita Halappanavar, you didn’t want to become the face of a movement; you wanted a procedure that would have saved your life. She continues, highlighting the significance of the “historic feminist victory” that took place in Ireland when the country voted to repeal the eighth amendment of its constitution on May 25 this year. 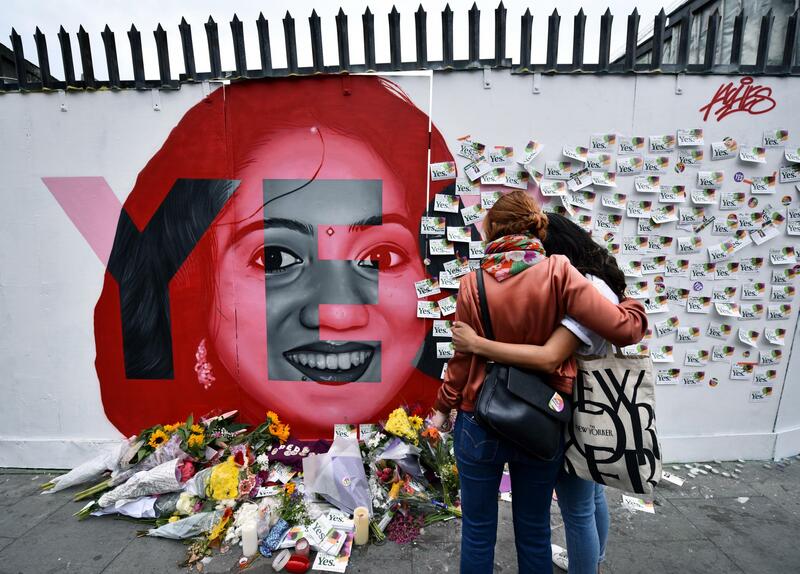 As people in Ireland voted to repeal the eighth amendment in May, many also left flowers and messages at the site of a mural of Dr Halappanavar in central Dublin, which had been created in tribute to her. “A note on your memorial in Dublin read, ‘Because you slept, many of us woke.’ That the eighth amendment enabled valuing the life of an unborn foetus over a living woman was a wake-up call to a nation,” Watson writes. Following the referendum in Ireland, there have been multiple calls for abortion law in Northern Ireland to also be reformed. According to the Guttmacher Institute, there are currently 26 regions around the world where abortion is completely outlawed, with no exceptions. These regions include Egypt, Madagascar, Iraq and the Philippines. “From Argentina to Poland, restrictive abortion laws punish and endanger girls, women and pregnant people,” Watson writes. “Still, Northern Ireland’s abortion law predates the lightbulb. You can read the full letter in Porter magazine here.